Hold on to your hat, my friend. And try not to let your blood pressure shoot right through the roof. Because the LATEST news about hypertension drugs is bound to make you feel hot under the collar. Recently I warned you about contaminated blood pressure drugs. Carcinogens found in common blood pressure pills have put countless folks in danger of developing cancer. This time the drug is a channel blocker called nifedipine. The new study was based on data gathered from the Dutch Amsterdam Resuscitation Studies registry. Researchers found that folks taking high-dose nifedipine have a SIGNIFICANTLY higher risk of sudden cardiac arrest. In other words, a drug you’re taking to reduce your risk for cardiac arrest could be the reason you experience it. Experts aren’t exactly sure why the drug causes the risk for heart malfunctions to skyrocket. They suspect it has something to do with it shortening the time it takes certain cardiac cell impulses to be transmitted. But the bottom line is taking nifedipine could lead to a be dangerous, or even deadly, cardiac arrest for some folks. Brand names of nifedipine include Procardia XL, Adalat CC, Afeditab CR, and Procardia. If you’re currently taking one of these drugs DON’T stop. But DO call your doctor to discuss your options. And in the meantime, you can try some safe and natural ways to gently lower your blood pressure that won’t raise your cardiac arrest risk. Research has revealed starting your day with some AM activity could lower your blood pressure as much as a prescription drug. And without sickening (or deadly) side effects. All it takes is a brisk 30-minute walk in the morning to bring those numbers down. Swap your milk chocolate for dark instead. Dark chocolate is filled with heart-friendly flavonoids that help boost blood flow. Aim for a variety that’s at least 70 percent cocoa and stick to a square or two to get the most benefits. Most processed foods are swimming in junk sodium. It offers no nutritional benefits but could affect your blood pressure. So make an effort to cut back on the junk. And then concentrate on bumping up your potassium levels by eating more fresh fruits and veggies such as beets, sweet potatoes, Swiss chard, white beans, and bananas. Potassium helps shepherd salt through your system, so it has less of an impact on your blood pressure. Toxic compounds produced by “bad” gut bugs have been linked to hardening and narrowing of the arteries. To help keep your blood pressure in line eat more probiotic-rich foods such as yogurt, tempeh, and kefir. And consider taking a high-quality probiotic supplement too. Stress can send your blood pressure soaring. But making an effort to relax can slash stress hormone levels and help bring your BP back down. Deep breathing, tai chi, massage, meditation, and even simply spending time with a loved one can reduce your stress levels. Don’t worry. There’s no need to give up your coffee. But to help gently lower your blood pressure, go ahead and swap out a few cups of java for tea. Both black and green tea have been shown to have blood-pressure lowering benefits. For example, in one study three cups of black tea daily produced a 10 percent average drop in systolic and diastolic blood pressure. 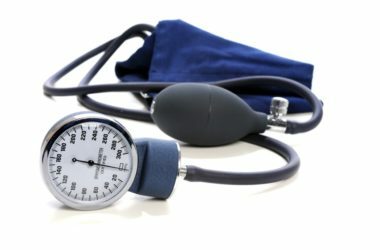 If you’re borderline hypertensive you may find that a combo of these tricks works as well as a drug to bring your blood pressure back down to normal. So keep an eye on your numbers.